A pan-European consortium has officially been awarded a £30m contract by the Ministry of Defence to develop a prototype Laser Directed Energy Weapon (LDEW). The project, first announced in September, will assess how laser weapons can detect and track targets at different ranges and in varied weather conditions over land and water. According to the MoD, a prototype demonstration is due to take place in 2019, at which point the MoD’s Defence Science and Technology Laboratory (Dstl) will make a decision on when the technology should enter service with the armed forces. “This is a significant demonstration programme aimed at maturing our understanding of what is still an immature technology,” said Dstl’s Peter Cooper. Known as UK Dragonfire, the consortium is led by missile systems specialist MBDA. Other partners include Qinetiq, Leonardo-Finmeccanica, GKN, Arke, BAE Systems and Marshall ADG. According to a statement issued by the group in September, the project builds on the significant MoD and Industry investment in the areas of laser coherent beam combining, weapon systems command and control, advanced pointing systems and high power storage. 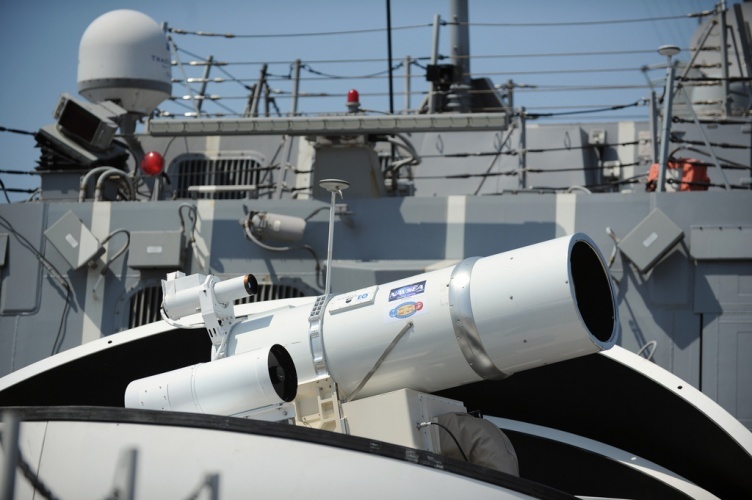 If successful, the first laser weapons could enter service as early as the mid-2020s. “The UK has long enjoyed a reputation as a world leader in innovation and it is truly ground-breaking projects like the Laser Directed Energy Weapon which will keep this country ahead of the curve,” said minister for defence procurement, Harriet Baldwin. Ah, Hull City got their government funding for social services and street cleaning cut by £30 million last year. Its a Doddle, isn’t it! [apologies Nick for making fun of your name] taking money from one set of Civil? servants (or are they now our masters?) and giving it to another. At least they -the second set- recognise that if they are to have any chance of getting a weapon that works, they have to ask a ‘proper’ commerial company to make it for them?